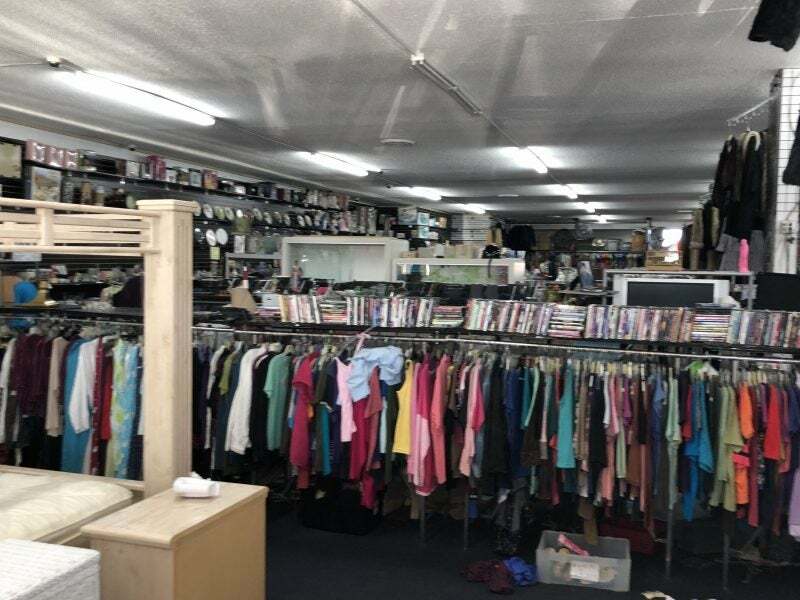 When I travel to a new place, I like to look up thrift stores in the area. I regularly shop at thrift stores in my local city for super-cheap kids clothes, toys, and books. And sometimes I find some great clothes for me, too! I LOVE that I am saving money, and at the same time getting unique finds that you can’t find anywhere else. Regularly priced kids clothes can easily cost ~$10-30 for ONE outfit. I usually pay between $2-4 for one outfit at a thrift store, which makes me and my wallet so happy! Plus, kids grow so fast, and to me, it doesn’t make sense to buy anything new for them. The money saved on clothes & toys allows me to spend more money on the more expensive things like a good quality travel stroller or 2nd carseat. I flew out to San Diego for a family vacation, but also to visit my good friend, Miori, who used to live in the city. We timed our vacations together so that we could hang out. We love thrifting together, so she took me to her favorite places in San Diego. This place is HUGE. You’ll find everything here, including a large selection of decent quality Halloween costumes, tons of accessories (even brand new hair extensions! ), and like-new size 19 Adidas shelltoes. Part of the fun of thrifting is finding crazy stuff you’d never see anywhere else! 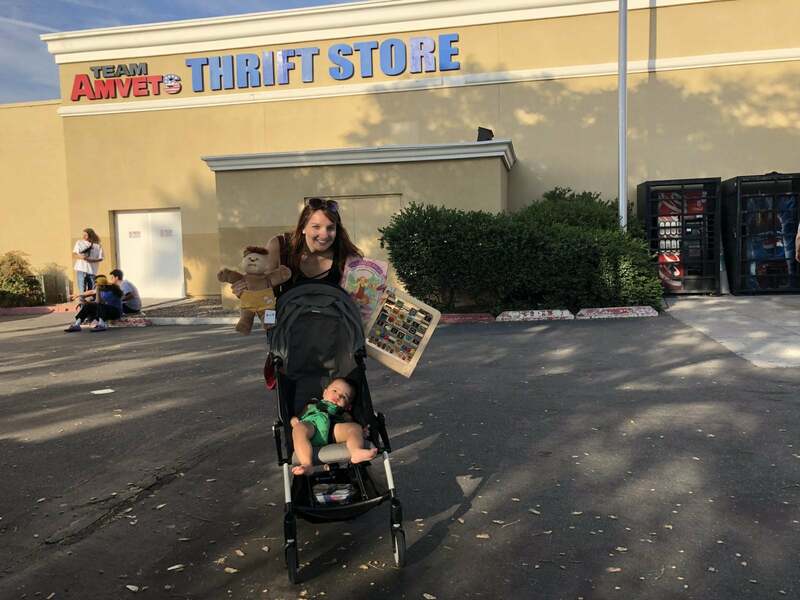 I scored big at this shop, and got a like-new swimsuit for my daughter, never been used vintage bibs, like-new Robeez (a soft sole shoe), and lots of other stuff for super cheap! Inside of a grab bag with lots of socks and shoes were legwarmers. 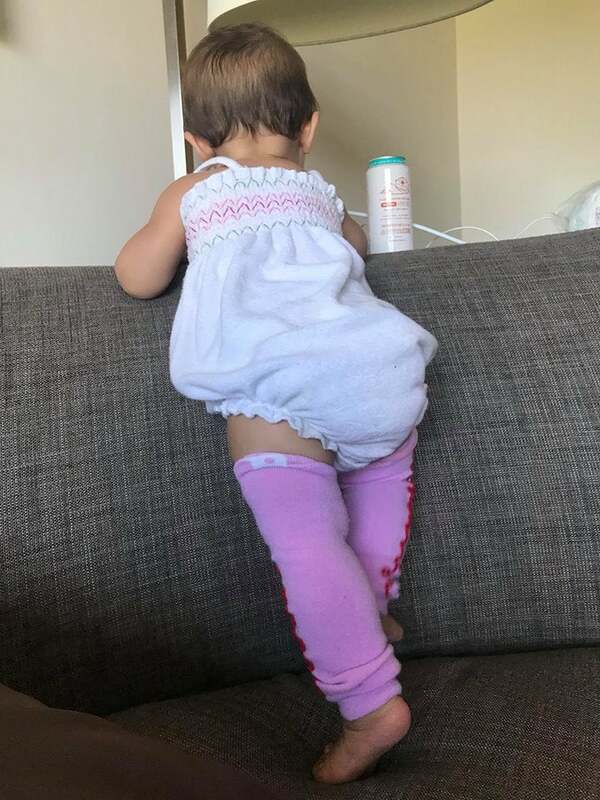 We used the legwarmers I got in her hotel room to help prevent rug burn on her knees. This store is located right around the corner from the Team Amvets store. It has a much smaller selection, but there are some great vintage finds. I found a super cute cat Cabbage Patch Kid from 1983 that was in excellent condition, for just ~$5! And I got a BRAND NEW wooden alphabet and numbers learning toy for my daughter for the same price. Some of the clothes are very cheap here–skirts were just $1 each! 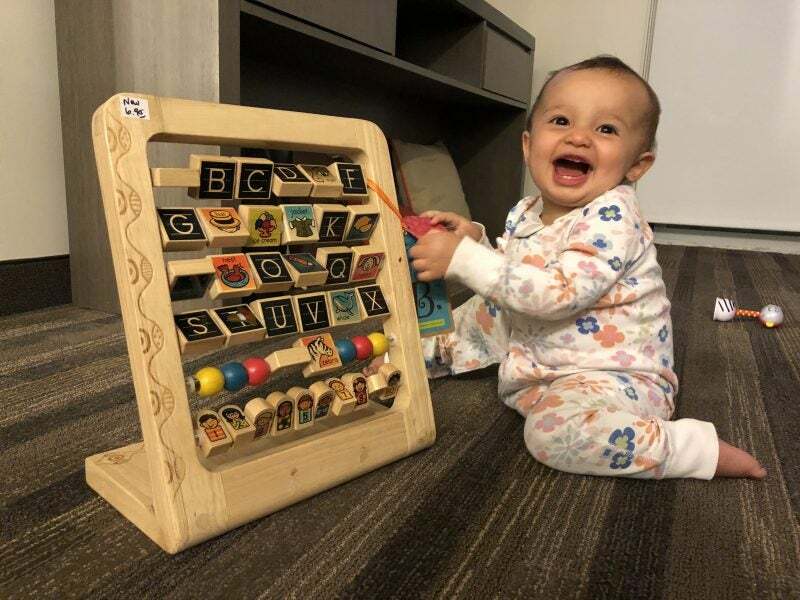 Arya loved new new alphabet toy! 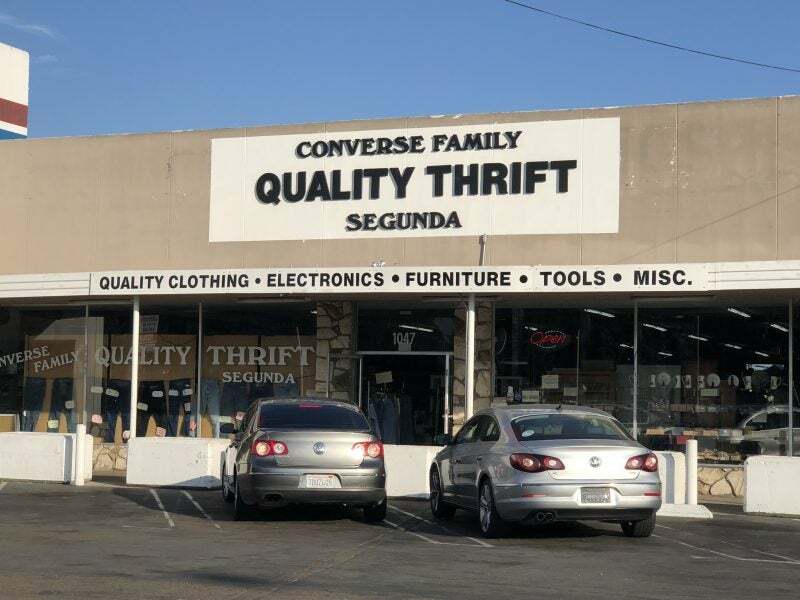 This shop is located right next to Converse Family Quality Thrift. All 3 shops are located right near each other, which makes going to them extremely convenient! 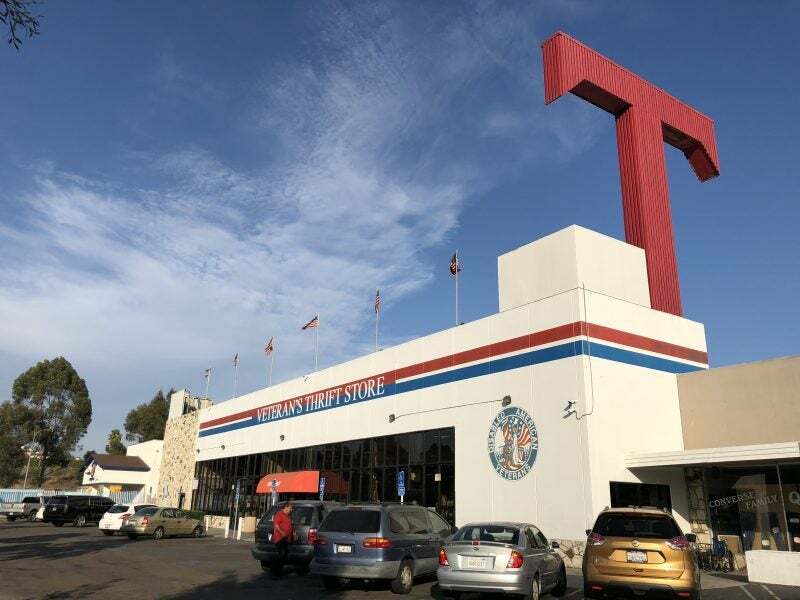 This is another thrift store that’s huge and has a decent selection of clothes, shoes, toys, and housewares. Some of my favorite finds from this shop included a vintage sailor tank top, and a chic black T-shirt. I also found a vintage Berenstain Bears wall hanging and a crushed velvet Cynthia Rowley shift dress for me! 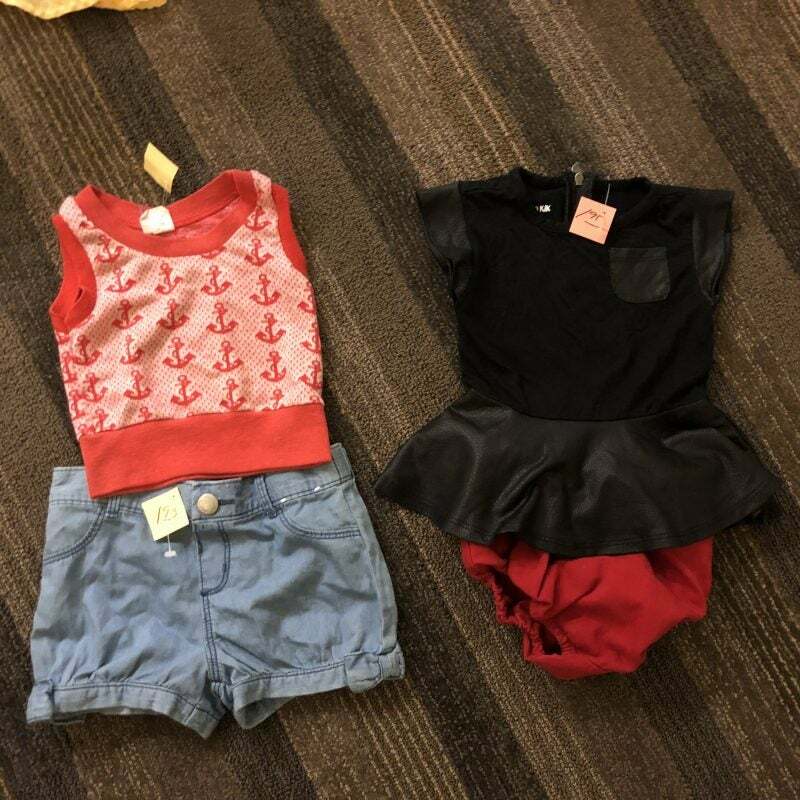 These Super Cute Outfits Cost ~$3 Each!! Shopping at thrift stores for clothes, toys, and books for my daughter saves me hundreds of dollars. 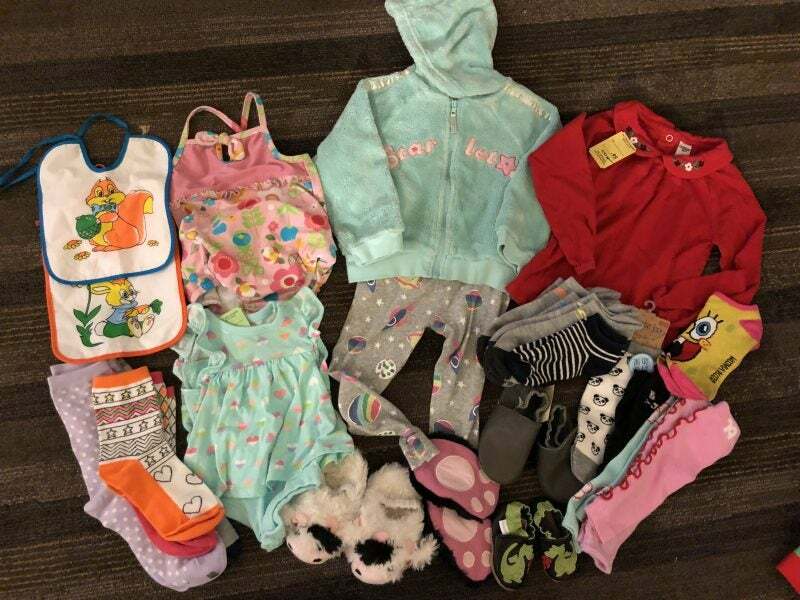 Kids grow so quickly, so why waste ~$10-30 on brand new outfits when I can pay ~$2-4 at a local thrift store, for even cuter clothes? When I travel, I like to seek out the thrift stores for unique finds. 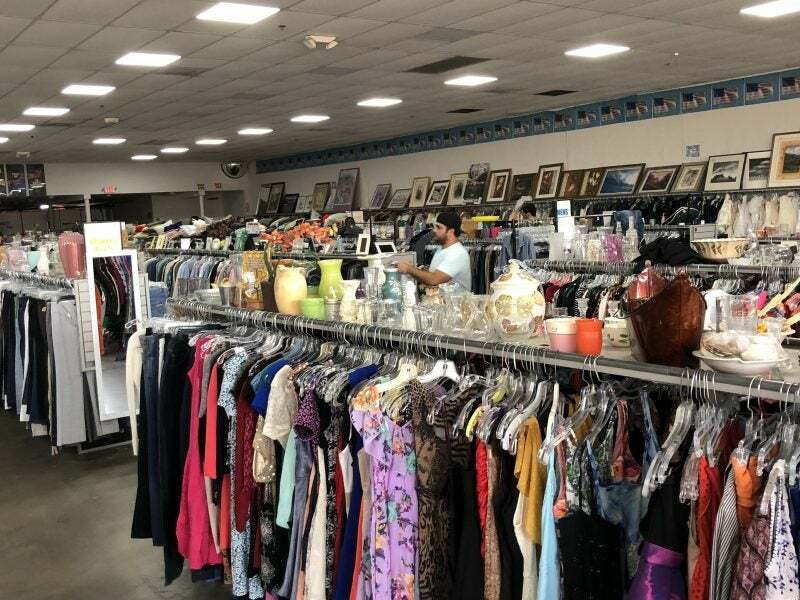 Do you shop at thrift stores? Where are your favorite ones? Let us know in the comments below!